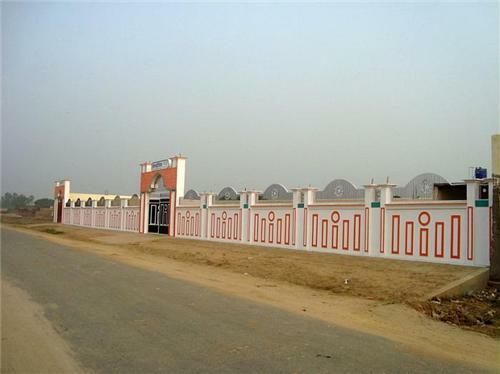 Headquarters of Amroha District is located in the town of Amroha. It is one of the Lok Sabha constituencies and is divided into five legislative assemblies. It has the Bijnor District in its North while on the eastern and south eastern parts it touches the boundaries of Moradabad District. Badaun District comes towards its south while on the west it is bounded by the River Ganges across which lies the districts of Meerut, Ghaziabad and Bulandshahr. Amroha is one of the 72 districts of Uttar Pradesh and is a minority concentrated area. It exemplifies the Ganga Jamuna tehzib of India where people of different religions have been living together for years in peace and harmony. Muslims constitutes 70% of the total population of the district. The town is inhabited by both the Sunni and the Shi’a sect of Islam. Festivals like Shab-e-Barat, Eid, Shab-e-Miraj are celebrated here with a lot of pomp and shows. Milad-un-Nabi is celebrated by the Sunnis and they take out processions while Moharram is auspicious for Shias. Holi, Diwali, Guruparab and Christmas is also celebrated in Amroha with great enthusiasm. Natives of Amroha often uses ‘Amrohvi’ or ‘Amrohi’ as their surnames. In the 2011 census, the population of District Amroha was found equivalent to that of Kosovo nation and to the Nebraska province of United States. The town is one of the oldest cities in the world and is divided into many localities. Each locality has its own tale of glory. Hazrat Syed Husain Sharfuddin Shah Wilayat Sahab was a contemporary of Mughal emperor Babur. A descendant of the holy Imam Ali al-Hadi an-Naqi, he himself was a Sufi-Saint. He hailed from the town of Wasit in Iraq. Waliyat Sahab migrated from Iraq to India and impressed with his intellectual abilities, he was bestowed with the title of Danishmandan by the first Mughal Emperor of India, Babur. Waliyat Sahib settled down in an area of a small town called Amroha which came to be known as Danishmandan. It is still one of the most renowned places in Amroha and is inhabited by the descendants of Waliyat Sahad. His tomb is still there in Danishmandan and is visited by people of all religions. It is one of the most populated and congested areas of Amroha town. Other monuments that are the prides of Danishmandan include Bada Imambada and Imam Bargah-e-Akbar Ali Khan. Hasanpur is another popular locality of Amroha. The area is one of the oldest in Amorha. Hasanpur is one of the prime commercial areas of the town and is home to many of the nationalized and private banks. It is located on the 28.90 latitude while the longitude is 78.46. The area of Hasanpur comes alive during festivals like Eid and Holi. Even being a Muslim dominated locality festivals of every religion are celebrated here with great joys. It is one of the ideal venues to taste the local savories like fish and mangoes. The air is filled with the fragrance of ripe mangoes during the summer season. It is hard to control the taste buds while passing through the area because of the various fish delicacies prepared here in the local eateries. Mandi Dhanaura is another popular locality of Amroha. It is one of the fast evolving areas of the town and real estate here is at its peak. It is evolving as the hub for the businessmen of Delhi NCR. The property rates are very high in the area. The peaceful serene is ideal for farmhouses and farmlands. It has many schools and colleges around and is one of the busiest residential areas of the town.